Welcome back to the 2018-19 school year!! This is going to be a big year of new wrinkles on campus with a new bell schedule with late start a few days a week and the “Falcon Flex” period built into the school day on Tuesday and Thursday to allow students to get extra help, make up missing assignments or tests, work on homework or projects, seek additional counseling support, etc. We will also be rolling out the 1:1 devices for students in 9th and 10th grade where students will receive a Chromebook to use for the next few years to access the curriculum and use as a tool for their education. 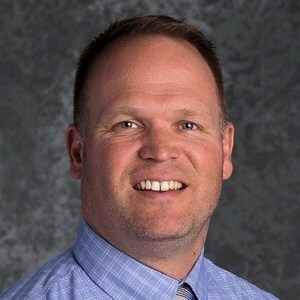 The school will also have a more systematic approach to generating school connectedness throughout the school year with a series of speakers and activities to help support students and promote kindness and connections on campus. This approach will include training for staff and parents so that everyone in the Foothill community is learning together and finding ways to support each other. We have some new staff coming on board, including a new vice principal, new counselors, new office staff and new teachers, so please make sure you welcome them to the Falcon Family! Together we will take this school to new heights and find ways to support the success of every student. Success is a personal measurement and is not one size fits all. Struggles will be inevitable as everyone reaches for success and Booker T. Washington said it well when he said, “I have learned that success is to be measured not so much by the position that one has reached in life as by the obstacles which he has to overcome while trying to succeed.” I look forward to working with every staff member, student group (clubs, teams, and student leadership) , and parent groups to determine what we need to do as a school community to make more opportunities available for all students. We will need to identify what every student needs to find their own success and make sure that when each student leaves Foothill they are ready for college and career. The 2018-19 school year will be incredible, especially with all of the changes in place and new staff to complete our Falcon Family! Make the most out of this school year and find your success, Falcons! !